Cardinalfish are no strangers to the marine aquarium scene. The hobby has seen plenty of species from this group make an appearance, though the trade has been primarily focused on two in particular, the Banggai cardinal (Pterapogon kauderni) and the Pajama cardinal (Sphaeramia nematoptera). Despite the overwhelming popularity of these two species, Oceans Reefs & Aquariums is testing the waters with a newly aquacultured species from Japan, the rare Spotnape cardinalfish (Apogon notatus). 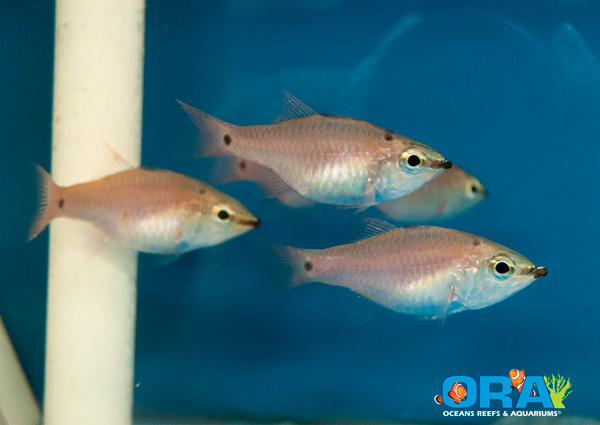 As noted on the ORA blog, the Florida-based fish breeders acquired a batch of wild spotnape cardinals, but due to a lack of information being available, they didn’t really know what to expect in terms of behavior, feeding strategies, breeding, etc. But that didn’t stop the experts from giving it their best shot, and after some time they were successfully breeding the fish and learning all sorts of information about them. One of the biggest takeaways from rearing this fish is that, despite their muted colors, a small group of these cardinals is quite striking. 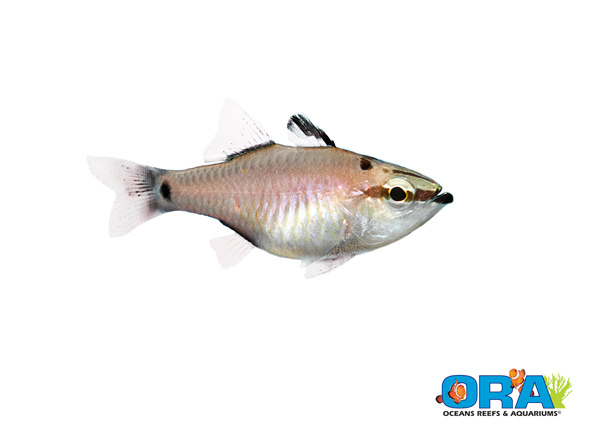 They sport “silvery, rose gold colors” as ORA puts it, along with a spot just behind its eye and one on the tail. The fish has a maximum size of 4″, and their social nature makes them great for community reef tanks. Though ORA is having loads of success with this species, they are at a bit of a crossroads. 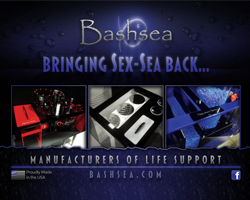 They can either continue to raise and breed the fish, assuming there is a commercial demand for them, or they can shift their focus toward other species. They are letting their customers decide, via Facebook, which path to take. Because ORA doesn’t have unlimited resources, they have to pick and choose which species they focus on. We learned at the beginning of this year that ORA stopped breeding mandarins because the public demand for them bottomed out in favor of cheaper wild-caught fish. That came as a shock to us, but just goes to further show how important the demand is for certain species.